Dr. Ginde’s clinical interests include Prostate Cancer with Intensity Modulated Radiation Therapy (IMRT) and Image Guided Radiation Therapy (IGRT), Brachytherapy (seed implants), Breast Cancer, Lung Cancer, Head & Neck Cancer, Thyroid Cancer, and Rectal Cancer (multidisciplinary management for sphincter preservation to avoid colostomy), Stereotactic Radiotherapy, and Immunotherapy interaction with radiation. 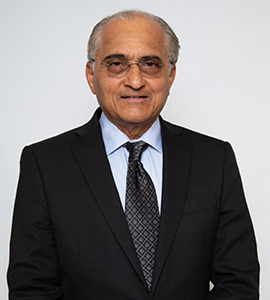 Dr. Ginde believes in the multidisciplinary management of cancer, which means more than just providing medical or radiation therapy treatment. He believes firmly in patient education, which mean sitting down with his patients and their families to help them understand their condition, answer questions, and help connect them with community resources. Dr. Ginde believes that the fight against cancer is a team effort and that counseling, education, and support services are just as important as the treatment of cancer itself. Dr. Ginde’s motto is “Guided by science, powered by compassion, dedicated to service”.